Using the dedicated for those websites which are having high web traffic is one of the best options. And the reason behind it is that by using dedicated you get more resources when compared to shared or Virtual Private Server. Not only that you can also easily manage your website as per your requirements. Using the server for your website gives you more reliability, flexibility and also security. 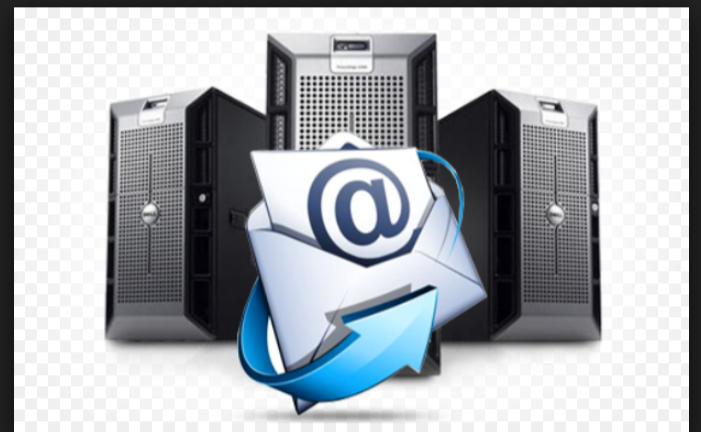 So today most of the people also use email service on their server and today email plays as an important mode of communication in all the field. So today if you are using a dedicated server for your website and also using mail service along and if you are not able to send the mail or if you want to know whether your mail server is blocked or not then here is the solution. Today most of the mail services are using port 25 for SMPT to send out emails. But sometimes your ISP- Internet Service Provider may block port 25 in order to prevent spamming by its customers or in case if you are sending any spam emails. That is when you will not be able to send any emails to your customer or clients. If you are getting continuous emails from any email id which is not relevant to you then you can make use of our Filtering module named Account Level Filter which allows you to filter emails that are sent to your domain’s email accounts. It creates a new email which will receive those emails that have been filtered out, this email address cannot be used to send mail. Certain Rules needs to be followed which is nothing but the conditions specified to filter the Emails. The patterns or keywords specified in the rules will be checked against the incoming mail and if it matches the action specified in the rule will be taken. 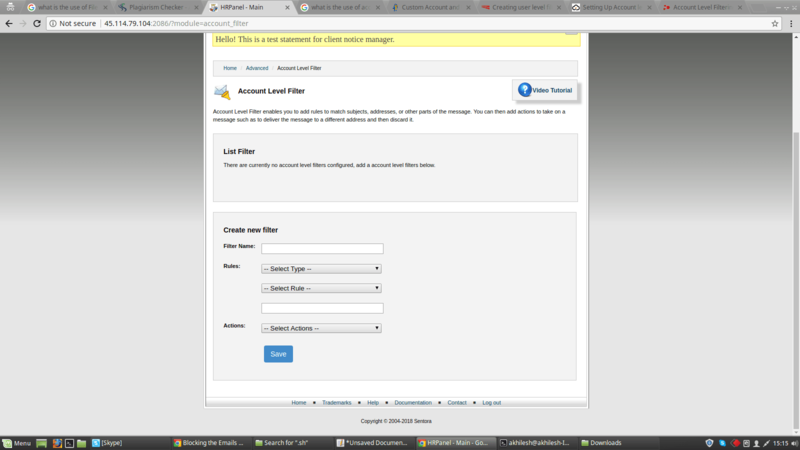 In the Advanced section click on Account Level Filter Module. Now you will be able to see list of Filters which is present if created or using the form below create a new Filters. a) Filter Name : Enter the name you want to give for this new filter. From - address from which the message was sent. Subject - the subject line of the message. To - address to which the message was sent. Body - content area of the message. Any Header - an header of the message. Next Select the any of the Rule operator from the drop down menu. Contains - contains the string you defined. Equals - it exactly matches the string which you have defined. Now You can see a blank box below the two drop downs, this is where you need to enter the string to be matched. Under Action you need to select Discard Message which will delete the mail with no failure message. Once All the above mentioned data’s are filled click on Save. If you want to delete the filter just click on delete button.